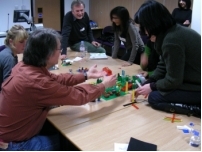 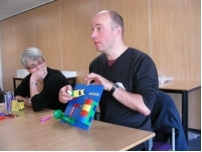 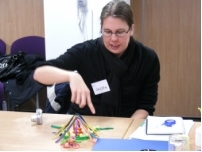 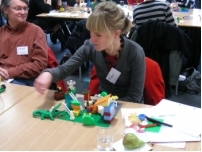 On 1-2 December 2008, David Gauntlett led an ESRC-supported two-day workshop in London, exploring creative visual methods in a hands-on way. 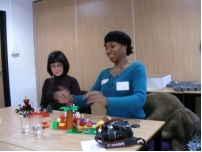 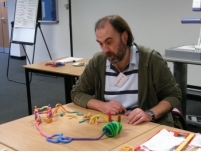 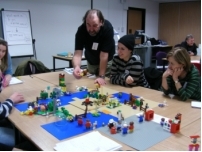 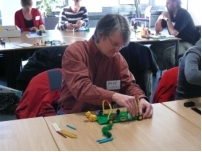 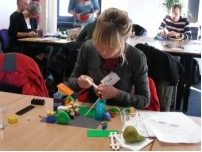 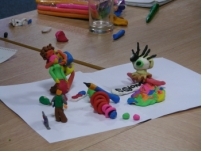 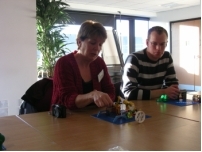 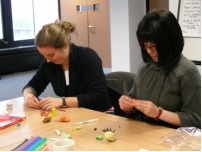 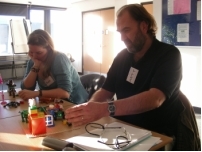 This gave participants the chance to spend a day experiencing the Lego Serious Play method (which you can read about on this site), and another day discussing creative methods and trying out other metaphorical making-things approaches, in relation to their own research interests. 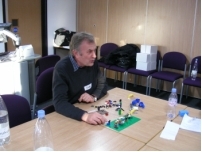 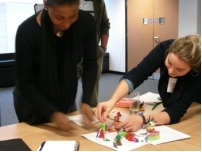 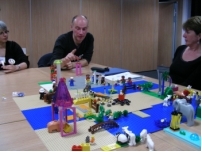 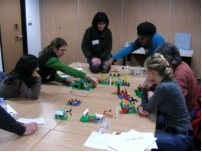 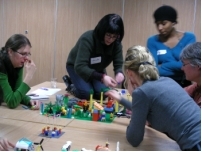 First, participants were led through Gauntlett's version of the Lego Serious Play process, being introduced to building in Lego, and building in metaphors. 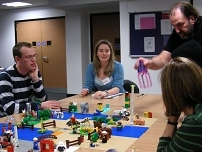 These introductory activities take almost two hours. 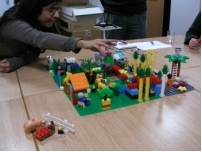 Then, participants were asked to build representations of their own identities. 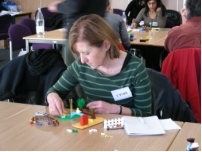 At every stage, participants build, then explain to their group the 'story' of what they have built; and then get the chance to add to and revise the construction. 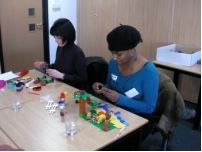 After building their 'identity', participants were then asked to build multiple 'agents' representing influences upon their identity. 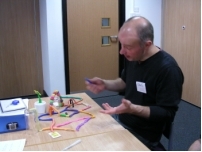 An agent can be an abstract concept, such as the passage of time, or any idea, force, thing, or person. 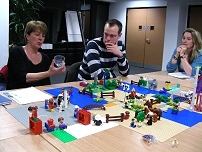 After the individual building of identity was completed, we moved on to a more collaborative phase. 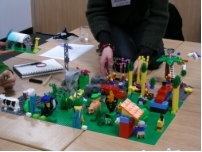 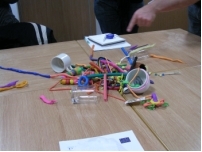 Here, participants were asked to build the ingredients of 'a better world'. 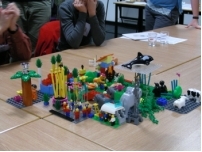 The was done individually for the first stage, but then participants were asked to combine all of their work into one shared vision of 'a better world'. 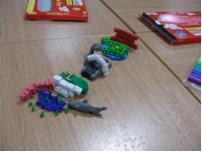 As can be seen below, this led to enthusiastic discussion and climbing on tables. 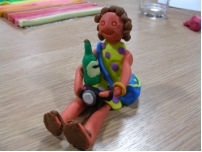 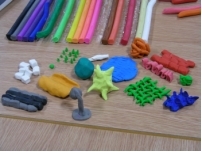 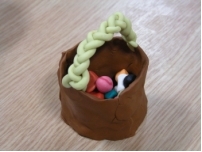 On the second day, we reviewed the pros and cons of the Lego method, and then tried out the more malleable material of Plasticine, the modelling clay. 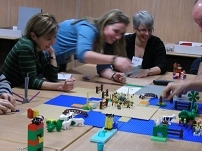 (Participants had indicated, prior to the workshop, that this was one of the things they wanted to do). 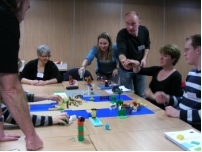 In groups of four, they devised a process to be followed by one of the other groups, and then handed it over. 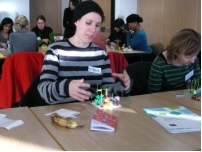 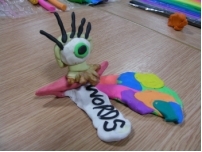 Feedback from the participants was that this was a stimulating workshop, enabling researchers to think about how different creative methods, materials and metaphors could be used to explore social experiences of research participants.